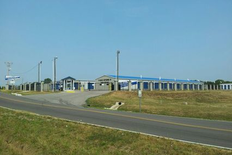 Looking for quality, affordable self storage near Princeton, IN? Look no further! 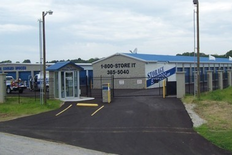 Storage Express is conveniently located at 1356 150 S, right off Hwy 41 and County Rd 150 S in rural Princeton, just a short drive from the neighboring communities of Fort Branch, Oakland City, Francisco, Patoka, Owensville, Wheeling, and Mt. Carmel. 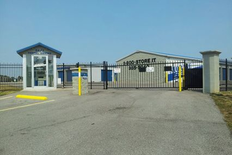 Our self storage facility is located near Toyota Boshoku Indiana, as well as Engler Machine & Tool, Windsor Machine & Stamping, and Berry Plastics. Give us a call today to reserve a unit or take a tour of the facility! 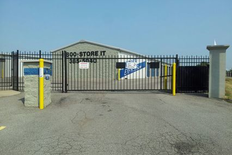 We know how important security is to you, so we have 24/7 security monitoring in our fenced facility with gated access to give you peace of mind. Plus, we have a professional pest control program and bright exterior lighting at our facility. 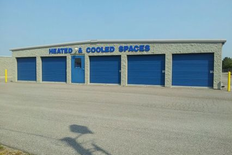 If you are storing something that is sensitive to extreme temperatures, our heated and cooled units are perfect for you! We have a rental center onsite that is open anytime, so you can always rent a unit no matter how busy your schedule is. When you rent from us, you’ll have 24-hour access to your unit with your secure, personalized gate code. Give us a call 24-hours a day to find the right storage unit for your needs. No matter what you’re storing, we’ll tailor the perfect storage experience for you! Clean facility. Secured with locked entry gate and security cameras. All units easily accessible. I've rented twice now and I've never been disappointed. Pam, your wonderful feedback and rating mean a lot to us. Thank you! Hi Larry! We are very happy to have provided you with such a positive experience! Clean, safe, well lite and great service. Thanks for the great feedback and for taking the time to let us know how we did, Tim! Dru, thank you for your kind review; we are happy to pass along your comments to the team here at Storage Express! We rented a unit from here. Very well maintained and security cameras all over. Right off main road. Easy to rent easy to pay. Very convenient. Thanks for your positive comments and for choosing us for your storage needs, Balinda! Thanks for this feedback and for the 5 stars, Dru! Easy to use, right off main road. Had our personal items in storage for over a year. Cherish Morris, thank you so much for the positive review! Parents have 2 units here and have never had a problem. The units are clean and large with plenty of space between the buildings to pull your car up and not worry about other cars passing by. Though, any time we visit there's not many other people in and out. Shelby, thank you so much for the positive review. We're here for you 24/7. Holler if you need anything!